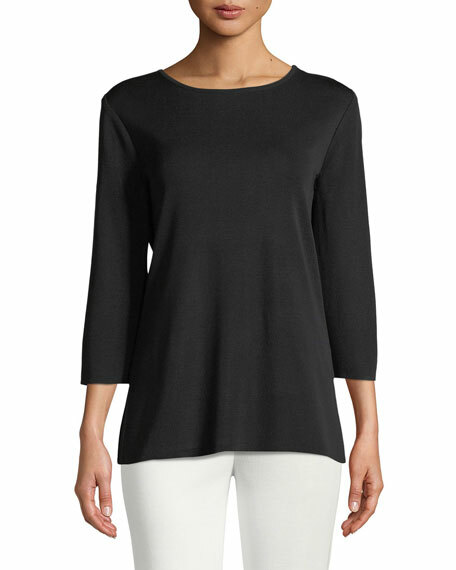 Misook soft, wrinkle-free top makes perfect for layering. 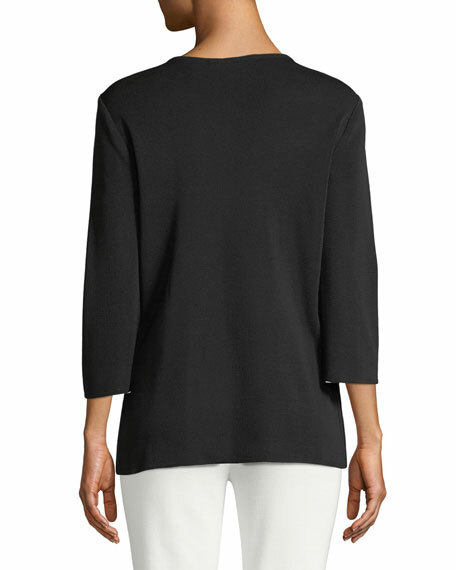 Eileen Fisher shell in fluid, matte georgette crepe. Approx. 22"L from shoulder to hem. Round neckline; button/keyhole back. Sleeveless. Boxy silhouette. Hits above the hip. Pullover style. Silk; machine wash. Imported. Model's measurements: Height 5'11"/180cm, bust 31"/79cm, waist 23"/58cm, hips 34.5"/87cm, dress size US 0/2.